Crispy graham crackers. Melty milk chocolate. A perfectly roasted, warm, gooey marshmallow. What could be better than a good, old-fashioned, campfire s’more? A fluffy, chocolate cupcake dotted with chunks of graham cracker and then topped with lightly toasted marshmallows? How about cold, creamy layers of chocolate pudding and marshmallow cream topped with a sprinkle of crushed graham crackers? Salty popcorn tossed with a handful of classic s’more ingredients? 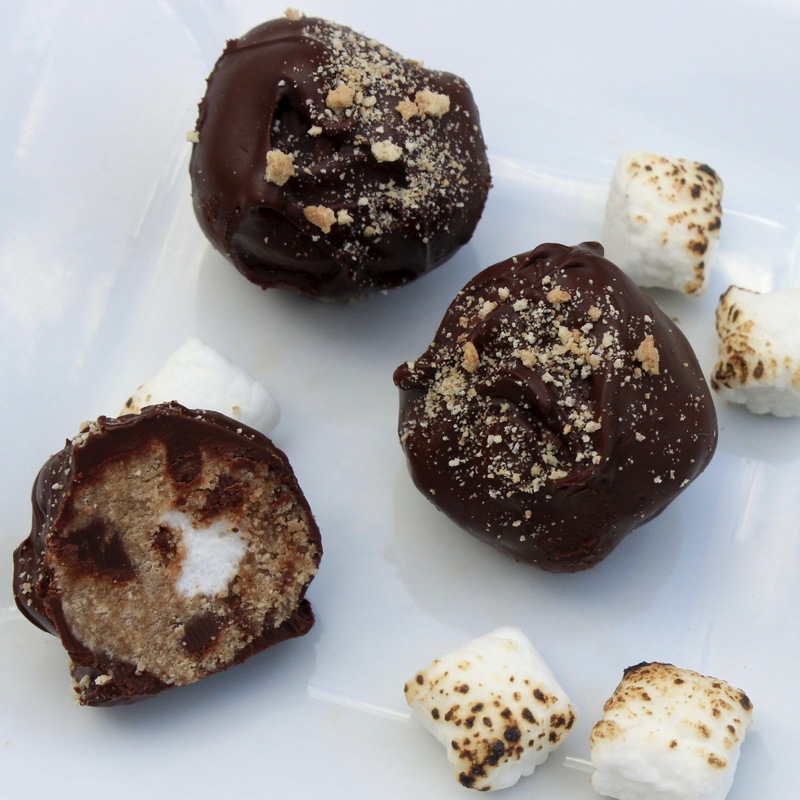 I have an idea — how about raw cookie dough, s’more-ified, and then dipped into chocolate? Yep, that might be better. With summer winding down (and my appetite for s’mores ignoring the change of season) I decided that it was time to come up with an indoor s’more-inspired treat. 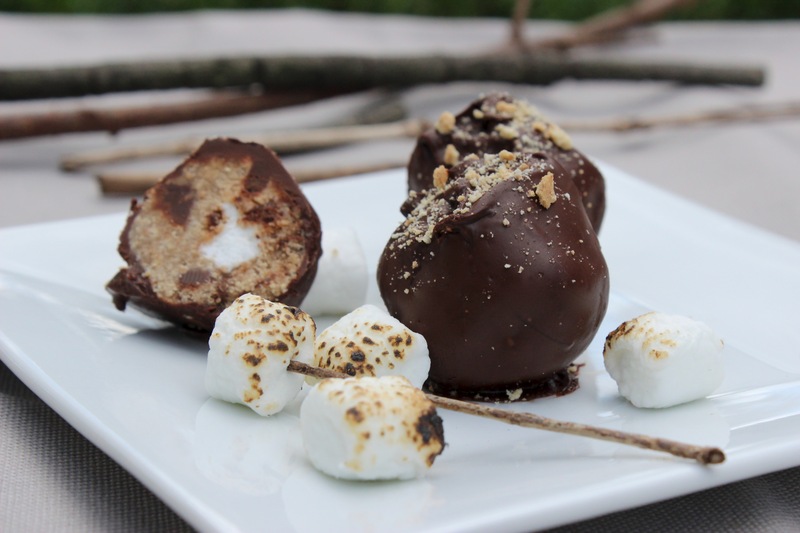 Combining this classic campfire snack with cookie dough seemed like the perfect mashup. The only problem? How would I get the flavor of a toasted marshmallow into a make-ahead treat? This recipe gets a double dose of smoky flavor — the miniature marshmallows are roasted before being wrapped in cookie dough and the all-purpose flour is gently browned in a frying pan for extra flavor. If you don’t have a kitchen blowtorch try toasting the marshmallows on a sheet pan in your broiler —just keep an eye on them, stirring every few minutes, so that they don’t burn. You many not get the gooeyness of a melted marshmallow with this treat but you’ll get the flavor of a classic s’more without the campfire. Store the s’mores cookie dough bites in the refrigerator — just be sure to leave them at room temperature for 10-15 minutes before serving. Um – yes, please! This sounds fantastic and I, too, am not ready to see s’mores season go!